Hurry over to the Old Navy Facebook Page where you'll find a NEW coupon. 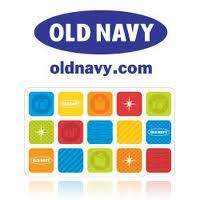 Be sure to click the "Get Offer" tab to grab your $10 off $50 purchase at Old Navy coupon. I'll be anxious to see what kind of deals we'll be able to pick up with this coupon.